Another maze has been added to the website. 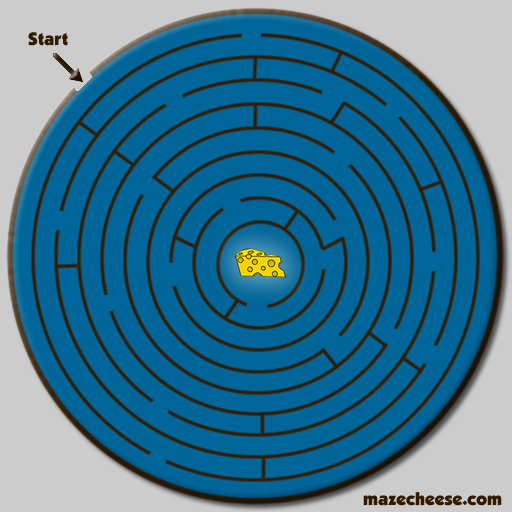 Maze 5 is a circular maze where success is made by finding the correct course from the outside-in. Have fun getting the cheese at the center of the maze.